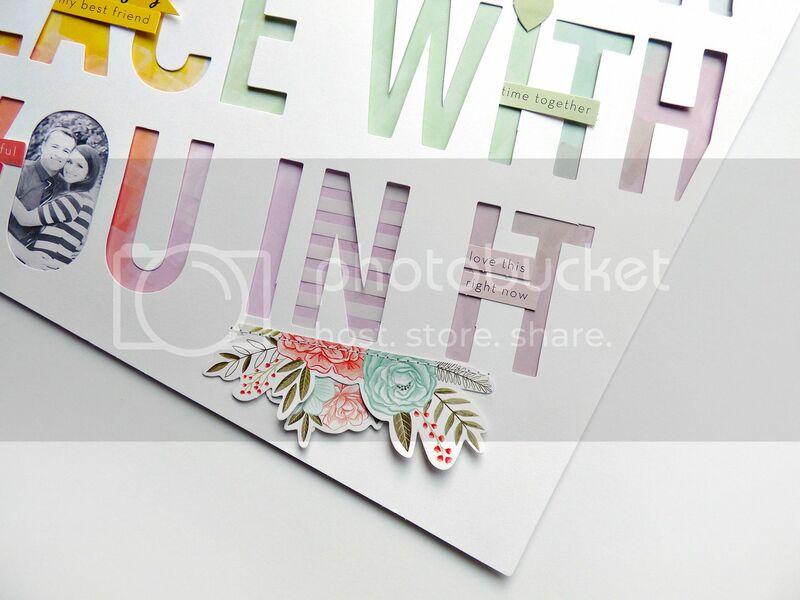 I made a new layout and process video for the Stamp & Scrapbook Expo blog! DESCRIPTION: In both Fancy Free and Take Me Away there is a product called Paige Kits and they help build a layout in minutes - but it looks like it took hours! JOURNALING SAYS: It's rare that we get a photo of just the two of us so whenever we do get a couple's photo I cherish them oh so much - just like I cherish you and our love for each other. 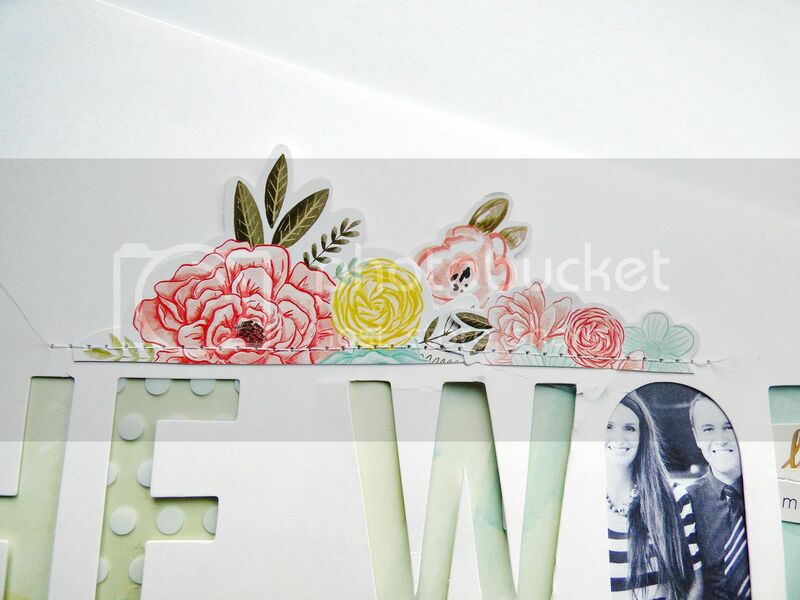 HOW TO: Back the pre-made die cut background with the patterned paper using the included dimensional adhesive - add a few of the patterned transparency pieces behind some of the letters and back the open "O" letters with small black & white photos. Trim flower die cuts in half and stitch them to the top and bottom of the layout. 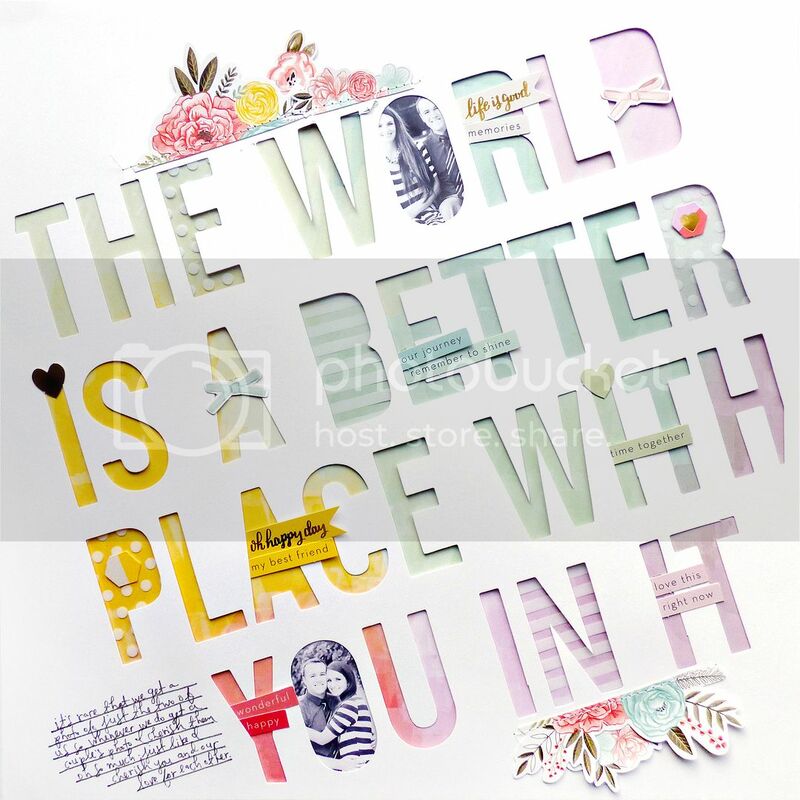 Place die cuts color-on-color over the letters then journal on the bottom left corner. Love love love love loveeeeeeeee this! LOVING how you added the photos and that title is perfection!!!!!!!!!!!!!! 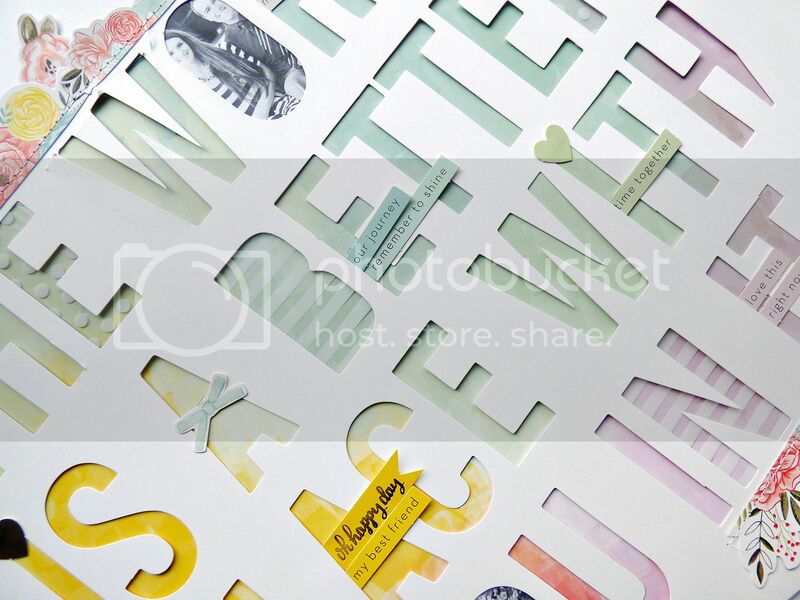 Love the ombre effect of the papers, the cutfile, all the little details and the best part are the photos of the two of you. The black & white photos really pop! thank you for sharing.